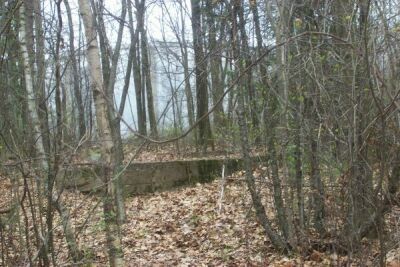 Sea View was a ski area that operated in the town of Rowley during the 1950's and 1960's, and into the 1970's. It originally started with a rope tow or two, then added a T-bar. See Linda Hume's and Don Dupray's memories below for more information. 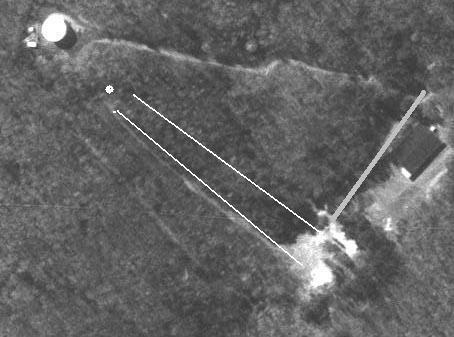 Here's the Terraserver overhead photo. Notice how there is really only one main slope, though other trails/slopes may have grown in. Linda Hume used to work at this area and has some great stories to tell! I have information about Sea View Ski Area in Rowley as my husband & I both worked there through many changes until it closed in the 1970’s I will not include the names of people in case they do not want to be included. I moved full time to the family farm in Ma in 1964 – we had previously just summered there, from Ct. 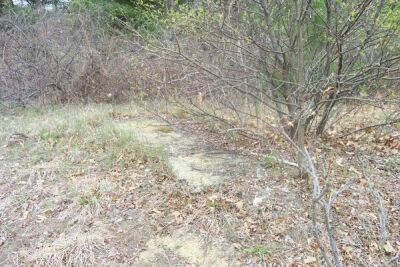 There is a smallpox cemetery in the woods along a trail that we were a bit spooked by We had to take boys from Camp Rotary for rides every summer- the camp had a contract with the stable to provide riding. There was also a small pond on the area where we would take the horse for a swim. These were some of my favorite times as a teen and I spent many hours in the saddle- a horse crazy girl’s dream. The new leasees installed a “T” bar lift, which was a huge improvement over that rope tow! Snow making was also added & the crew spent many the night up all night trying to get a good base so we could draw more skiers than our rivals, Amesbury and Hamilton! The slope was quite steep at the top, then had a shelf then a more gradual bottom There were also trails to each side which were kept pretty well groomed They had an active ski patrol of which my husband was also a member and a racing team that did travel to other areas & if I remember, did quite well. A local doctor headed and coached the team. There was a small ski shop rental shop, and restaurant, which served coffee, hot chocolate, soda, hot sandwiches and snacks. In the winter I worked behind the counter either selling food or tickets for the lift. There was a lesson program that had classes for both beginners to experts including children-- I sometimes got stuck babysitting !! There was always a mini crisis- pipes for snowmaking broken, temperatures or humidity wrong to make snow, lift malfunction etc but all in all it was a fun time and the people who worked there were like family. In the late 60’s the 2 men who had managed the ski tow/ stable ran it for a while but soon it was closed only to be opened up again by a couple who bred & showed Morgan horses. This was in the early to mid 70’s. They renovated the building previously used as a ski shop/ tack hut into a small house and added a small stable for their prize horses. He was a farrier and in the summer they relied on that and her income as a nurses aide. In the winter they opened the ski tow, this time my husband was the foreman. They once again had snow making and used a T bar The owner once had a screwy idea of using an air boat to power the snow making!! I still have a photo somewhere. Needless to say it did not work! Sadly this couple were not business oriented & the area did not stay open more than a few seasons IT was a whole different atmosphere- not the serious attitude with the racing team, organized ski patrol etc . They have since divorced remarried moved and the buildings have long since been torn down. High price houses have been built to one side I read in the paper that they had to be careful to save the small pox cemetery. I have not gone back since I think it would me too sad. Don Dupray has some more info as well: There were at least 3 buildings at the base, ticket booth, snack bar/cafeteria, and ski shop. The Ski shop was the predecessor to what is currently the Skol Sports shop in downtown Ipswich. There were technically 3 slopes served by one T-Bar. As you stood at the bottom of the hill and looked up the middle or center slope, the T-Bar ran between the main slope and the slope to the right. The slope to the right actually offered 3 small jumps, wooden platform, the largest probably being 4 feet high. There were a lot of trees on this slope which offered a very early form of “off trail” skiing. The third slope, to the left, was maintained primarily for the “Barrel Stavers” ski club. I remember racing there on one occasion. They offered a giant slalom and down hill course. 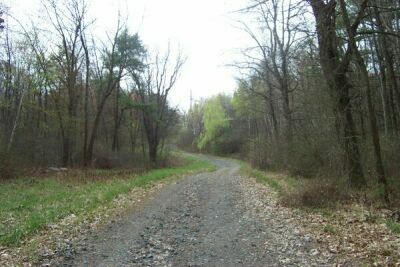 There was also one semi-cross country trail that ran way out to the left, probably no more than 10 –12 feet wide which connected back to the main area at the bottom of the left trail. I do not remember when the area closed. There was no snow making. 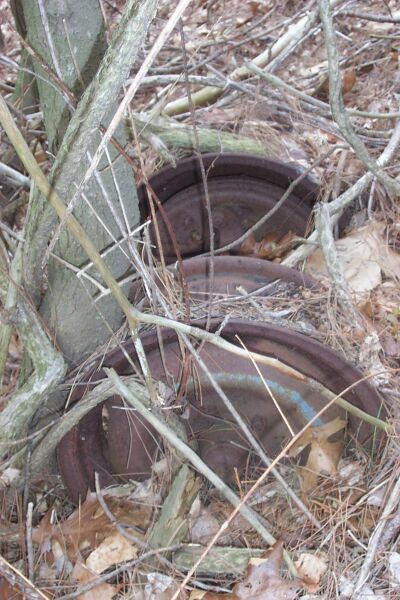 The T-bar as I recall was sold to another local area; either Amesbury or West Newbury. 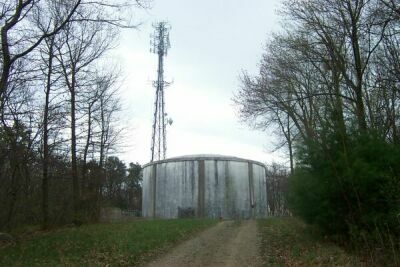 The water tower and cell towers that currently sit at the top of Prospect Hill are actually higher up on the hill than the ski area summit. Betsy McDonough's cousin Dan: Dan remembers that there definitely was one in Rowley. It's on 133 between route 1A and 95. It would be on your left heading west on 133. There used to be a restaurant across the street, but it doesn't exist anymore. He thinks there is a manufacturing place where the area used to be. 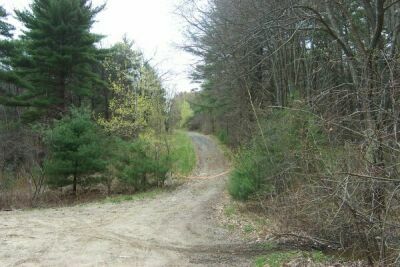 John and Linda Osgood: We went a little north to Rowley and found an old hill that his been closed since the mid '70s. The cement poured for the top terminal of the surface lift (type unknown) had 1971 as a date. Bob Morency: SeaView in Rowley is located on Rt. 133 about 1/4 of the way between Rte 1A and Rt. 1, closer to the Rte 1A side. 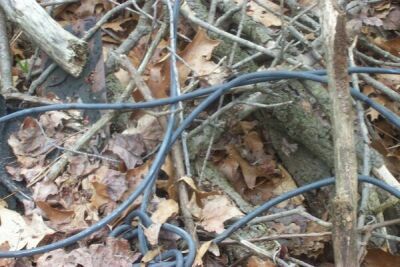 There is a little road coming off the south side of Rte 133, and there is a utility box there, and a steep dirt road/trail ascending to the west. I recall activity there in the late 1970's, possibly into the early 80's. 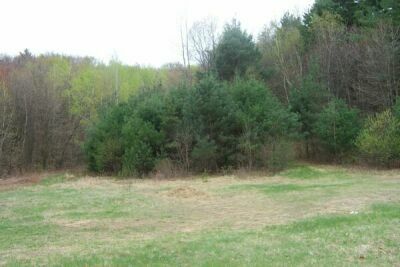 Will Bloombergh: Directions - To find this area, look for a wooden sign that says Prospect Hill near a small company called General Gear Co. There are 2 cell phone towers on top of the hill... it is off Rte 133 between Rte 1 & 1A. The restaurant across the street used to be called Eagle House. John Brady: A ski area that I enjoyed as a kid was Sea View in Rowley. It was in the mid to late 60's that I skied there. It was somewhat of a center of junior racing activity, with an active local club running races on most weekends during the winter. I recall that Becky Dorsey, who later made the US team, did some of her early training there. All of the information on the sight is quite correct. I believe the lift line on the skiers left was a rope tow and it was the primary lift. This is the line in your photos marked with a white blaze. It is interesting that on the skiers right of this lift line, there is a solid, straight line of old pine trees that in fact define the line. They are old growth, so it puzzles me how these trees came to be planted in a straight line. To the skiers right of these trees was a trail that opened up into a slope about 1/3 of the way down the hill. We ran races on this slope. The starter would stand at the top with a flag on a pole. When he lowered the flag on a three count, a stopwatch would start at the bottom and the racer would go. TAG-HUHER made no money on this timing setup, but it developed good skiing skills, and a lot of kids had many weekends of fun. I think there was a second tow that ran up the skiers right on the open slope as shown on your photo, but here my memory becomes vague. The one on the skiers left defined by the pine trees was the primary lift. 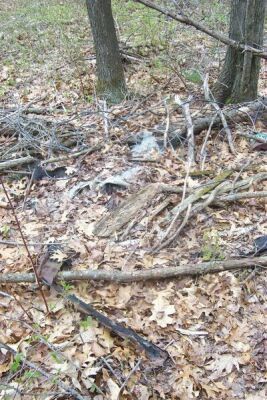 Steve Rheaume checked out the area on April 20, 2002, and wrote the following report. Great pictures! ...And to the left, is this trail that I would guess was the lift line based on the angle of the trail and the Lift Remains. 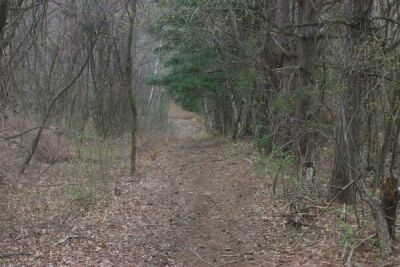 I descended by the trail I thought was the lift line which is the furthest to the left (facing down hill) of the three. Someone obviously did a lot of work on the trail as it is well blazed, cleared, and has water bars. 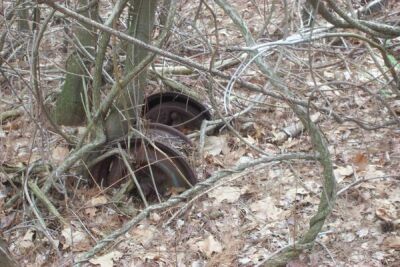 Close up of Possible lift remains? 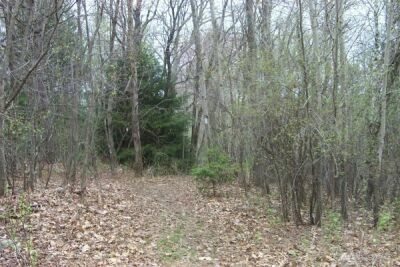 At the bottom of the trails is a substantial clearing, which is the probable Base Area. The trail to the right is the one I came down and the probable Lift Line. Also, a third trail not pictured enters from the left. Cement directly in line with suspected Lift Line trail. 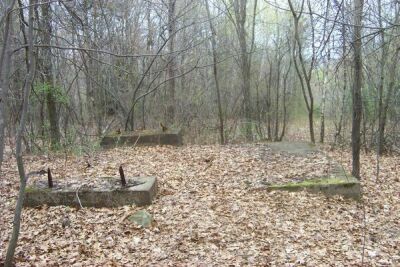 The only remains of the Lost Ski Area's base area. Heading back to the access road, I turned around and snapped this picture. You can see the stone wall still piled up on the left hand side as you were to enter the ski area proper. The two white lines from the summit are trails that I confirmed. 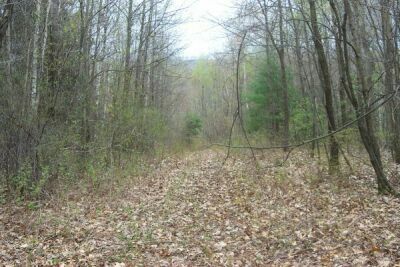 Another trail is visible to the left that I saw an exit for at the Base Area. The White Dot near the summit marks the lift remains, and the Grey Line along the Base is the Road that leads from Route 133 into the Ski Area. I am fairly certain that the Cell Tower Access Road was not part of the Ski Area. 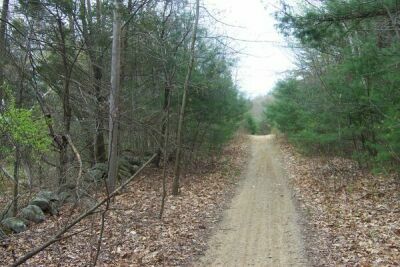 If you Hike any of these trails, be sure to check for ticks after you are done!!! so dressing in bright colors may be recommended during hunting season.